May Kwok is a visionary entrepreneur with a talent for bringing brands to life through music and experiences-digitally and IRL! She is a globally renowned DJ, designer, model, and influencer fueled by surfing, fashion, fitness and running. You may have seen her on Instagram under the handle @Iamamayzing and she pretty much is! If you don’t believe us, head over to Soundcloud and have a listen. May Kwok is the go to DJ for the fashion, pop culture and wellness scenes around the world. 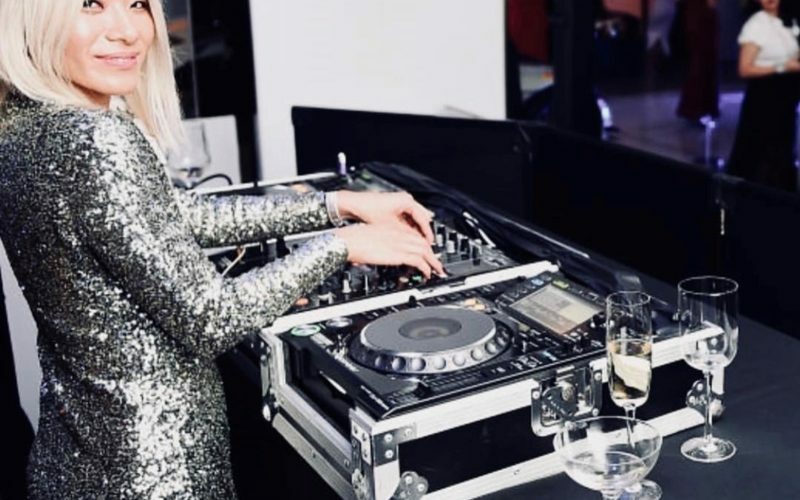 Her DJing roster includes everyone from the CFDA, MQueen, Zimmerman, Refinery 29, Popsugar, Prada, and so many more. You can follow her custom curated playlists on Spotify for brands like Phillip Lim, Whalebone, Sakara, Fendi, those are just a few. Also in her portfolio, May All Day, her design collaboration + capsule collection with activewear brand, Alala. Even cooler than all of the fun DJing, and fashion, May is a surfer. She has traveled around the world riding waves from Rockaway Beach to Bali. She just got back from Sri Lanka a few days before we recorded the podcast. On today’s episode, Marni syncs up with May to hear what’s on her playlist, learn about her favorte breaks, and dial in to the next wave of all things, May. If you like what you hear, leave us a five star review on Apple Podcasts! Join us for our LIVE podcast series and mobile summit: Well-Intentioned at Chelsea Piers Fitness in Chelsea, Chelsea Piers Fitness in Brooklyn, and WeWork for the Talenthouse Series, Creative Conversations. Dont forget head over to our website, marnionthemove.com and sign up for our newsletter, The Download, to learn about upcoming events, deals and giveaways. Follow us on Instagram and Facebook @marnionthemove.